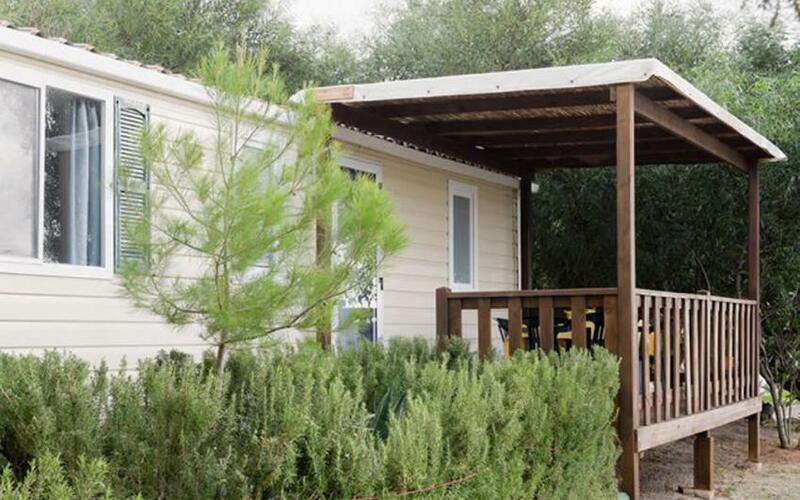 Mobile homes have 4 bed spaces (+ 1 cot) , are positioned in the pitch close to the sea, are modernly furnished and equipped with air-conditioning. 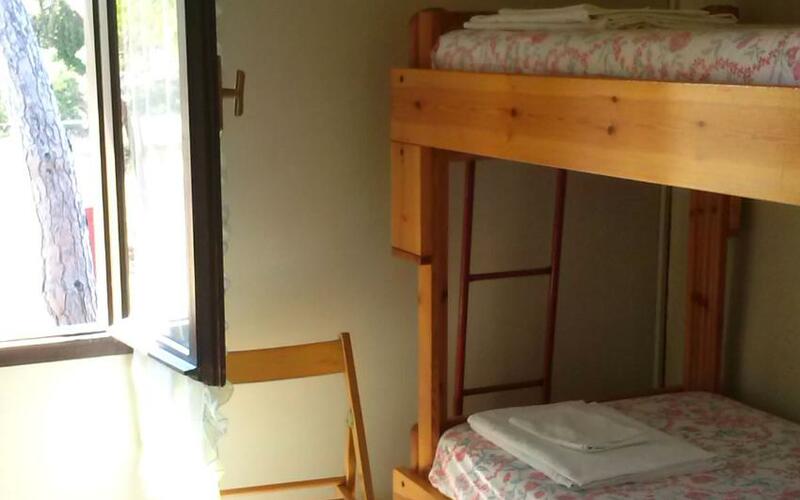 They comprise 2 bedrooms, living room with cooking area, bathroom,and veranda. 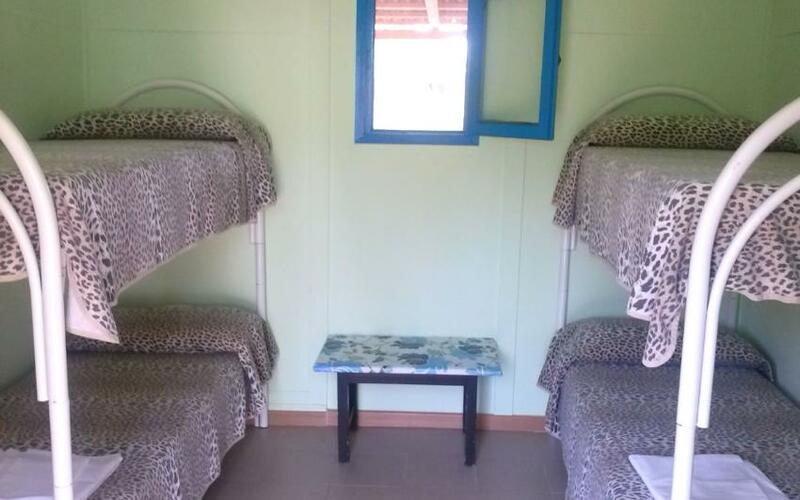 One bedroom is furnished with a double bed, night stands and wardrobe, whilst the other with two single beds plus a fifth cot. 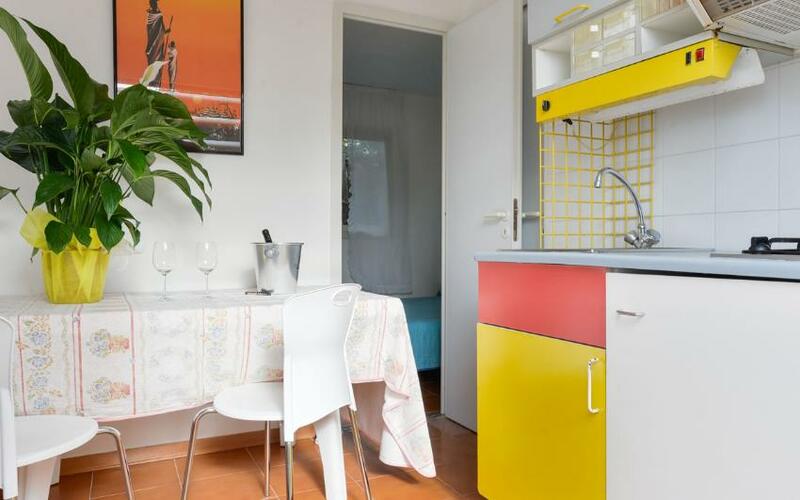 The kitchen is completely furnished, with four ring stove, fridge, sink, cabinets, crockery, kitchen utensils, chairs, table and a comfortable divan. The bathroom is equipped with hot water shower, sink, WC. The veranda in wood is equipped with garden table and chairs. 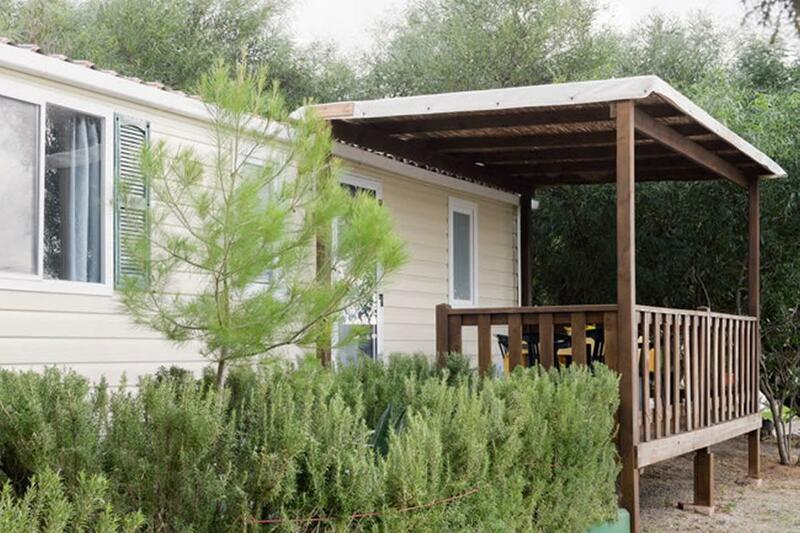 The mobile homes are rented complete with cushions, sheets, pillow-cases, covers, crockery (plates, glasses, utensils, pots). The consumption of electricity, water, gas and 10 hours per day of air-conditioning use are included in the price. Not supplied are bathroom and kitchen towels. Pets are allowed.